Knopf Books for Young Readers, 9781101937105, 40pp. A gorgeous, lyrical picture-book biography of Vincent van Gogh by the Caldecott Honor team behind The Noisy Paint Box. 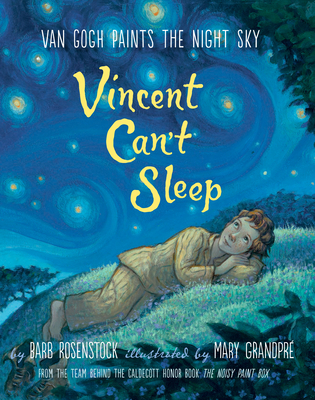 From the same team behind the Caldecott Honor Book The Noisy Paint Box, Vincent Can’t Sleep is a stunning book that offers insight into the true meaning of creativity and commitment.